From the creators of the Academy Award®- nominated Ernest & Celestine comes another hilarious, heartwarming tale of animal misfits destined to become a classic. The countryside isn't always as calm and peaceful as it's made out to be, and the animals on this farm are particularly agitated: a fox who mothers a family of chicks, a rabbit who plays the stork, and a duck who wants to be Santa Claus. If you think life in the country is a walk in the park, think again! 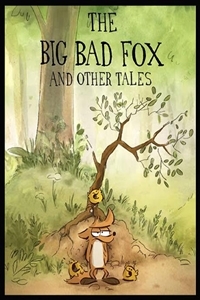 Directors Benjamin Renner and Patrick Imbert adapt Renner's own acclaimed graphic novel into a delirious, delightful triptych of interlocking stories, with a pacing and visual spontaneity that harkens back to classic Looney Tunes shorts and slapstick two-reelers. But underneath the gags (and there are plenty of them), the three stories offer a sensitive and beautiful portrayal of family and the anxieties of modern life.